A suburban Chicago high school senior was struck and killed by lightning during Thursday's storm, officials said. Jennie Dizon, 17, of Downers Grove, was found unconscious and not breathing in O'Brien Park, at 68th Street and Dunham Road, shortly after 5 p.m., officials said. She was pronounced dead at the scene and the DuPage County Coroner's report said the death is "consistent with a lightning strike." Her death was just days before her graduation at Benet Academy, scheduled for Sunday. "It was God's will," her father, Eric Dizon, said Friday. The senior was on the color guard and was planning a trip to Europe. Her post-graduation plans were to study theater at the University of Cincinnati. The family said Dizon had dropped off her younger brother and sister, who also attend Benet Academy, at a dentist's office. 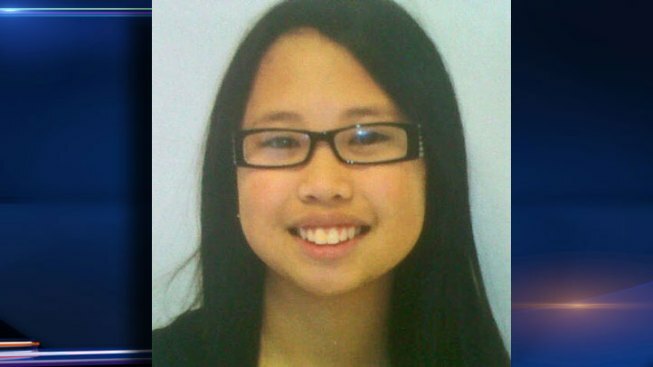 The teen journaled often, and the family said they believe Dizon went to the park to write. Younger sister Emmeline Dizon said she kept calling her sister's cell phone for a pickup from the dentist's office but didn't get an answer. Walking home, she said she saw the ambulances at the park but didn't know anything was wrong with her sister until police came to the door. Police said it was a witness who saw lightning and saw Dizon on the ground. The witness went to help but Dizon was unresponsive, an officer said. A Mokena man died last weekend after being struck by lightning while fishing with friends in central Illinois. Lighting kills as many as 70 people in the United States each year and injures more than 500, according to estimates from the National Weather Service.